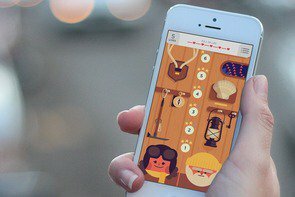 All too often, freemium games in the App Store feel a little scammy. Sure, you can download them for free, but many, many freemium games then sacrifice playability to squeeze nickels and dimes out of players—forcing you to pay to get past certain levels in a timely manner, or making you purchase digital goods to advance the game in any meaningful way. 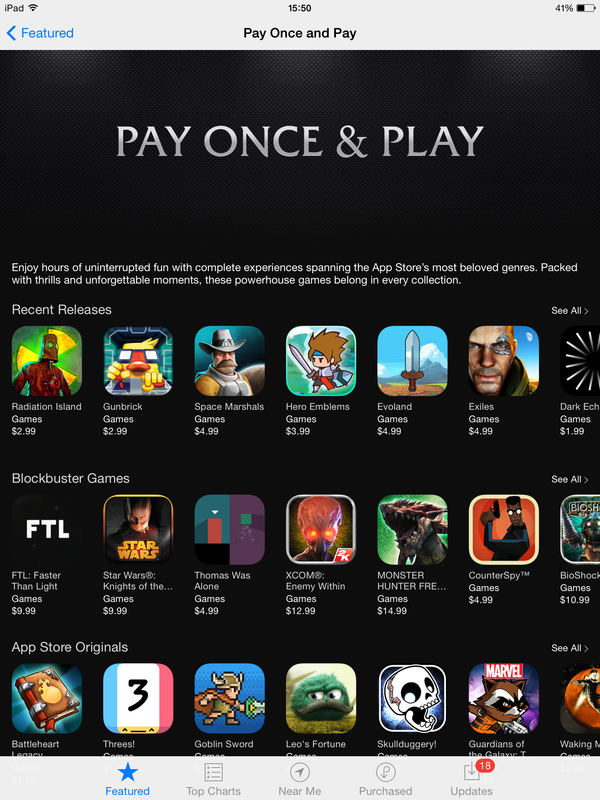 Pushing against that trend, Apple is now highlighting games without in-app purchases in a new section in the App Store. 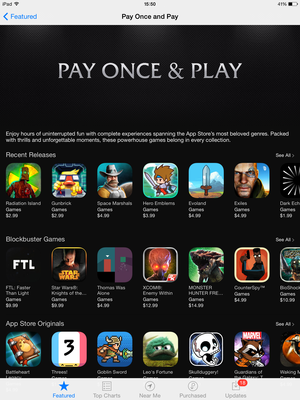 Apple's Pay Once & Play section on the App Store app for iOS. Have a look around and you'll probably find a few games you won't mind paying for—especially since you don't have to worry about forking over dollars for in-game currency or digital farm animals.